What are the keys so that my clients do not want to separate from me? It does not matter if your school is small, medium or large, there is no greater pleasure than interacting with your customers and showing them the passion you feel for what you do. In addition, it takes much less effort than you think for them to return frequently. You only have one chance to make a good impression so you worry that this is the best they can have. No matter if your products or services are the best, if the customer does not feel well, he will not come back and will not recommend your school. To do this, treat them as if they belong to your family, remember their name, be kind and, above all, generate their trust ... That sometimes they dare not even enter the school because of shame to the unknown! In addition to the person in charge of receiving customers, it is vital that the rest of the staff make them feel good. Many of them come to classes or courses with shame and prejudice because it is a world they do not know. Others, however, believe that they know everything about the sea. No matter what client profile you are with, do not judge them and try to always be empathetic and fun with them A smile on the face makes more than a thousand words! We are accustoming the customer to receive discounts that are not really discounts (because they expire in a record time, because they force them to make a minimum purchase, because they are only activated if you meet impossible conditions ...). Offer them real discounts, is what they are waiting for us: a sticker in the form of a sticker, for example, is a way to give something tangible to your customer and reminds them that they must return soon. You can have the best offers on the market, the newest and most innovative materials, incredible knowledge about the sea ... if you are not able to communicate it to your customers, forget it! Once you've got that first customer, remember to get your contact information (email or mobile phone) to be able to talk to him. Email marketing continues to be one of the most successful strategies and brings more benefits, worry about sending monthly information with the news of the school, take advantage to send your offers and make them feel unique and family. If you want your new customers to come back often, give them a reason to do so. People like to feel part of something and more if it is from a community as special as watersports. Motívales creating a club through which they can meet other people interested in the same activities or sports or offer a loyalty program with a promotional gift and discounts for being part of it. 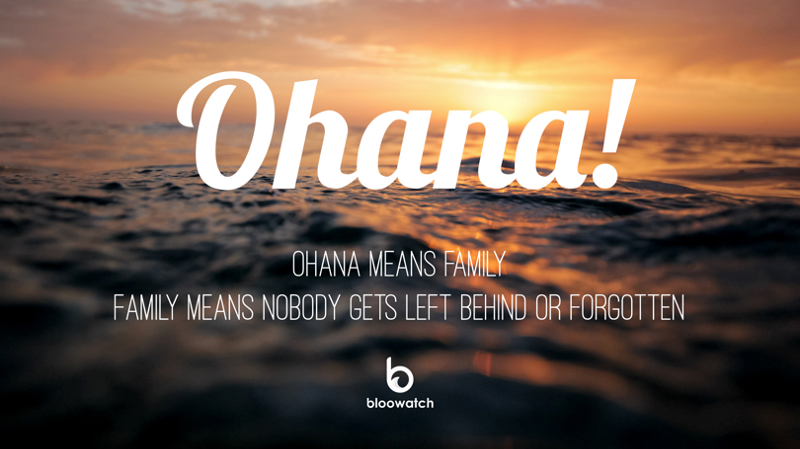 It is only a reminder that the main keys to loyalty to your clients are to make them feel good, to welcome them with open arms and to let them be part of your big family, which in Hawaii is known as OHANA.